Interior designers tend to be artists at heart, kind and giving spirits often putting themselves last in the equation. How many of us have felt so passionate about a project that in order for a client to agree to a pricey item we have actually forfeited part of our commission? That is what I call true passion. That leads me to the point I want to make - oversharing. It's a common issue amongst overzealous creative designers. Have you ever gone into a preliminary meeting with a potential client and were so excited or inspired with their architecture that you just started discussing your vision for the space immediately? I have. I have even stayed for an hour or two explaining how it could be done. Did I impress them or give my years of design experience away in two hours for free? Most likely the latter. Being enthusiastic about new projects gives off a great vibe, especially when you're trying to win over a new client. But sometimes you just have to bite your lip and contain all of your imagination and exuberant ideas. Share your talent after you have a check in hand! Believe me, it works. Your face will show your inspiration. And when your future client asks "What are your thoughts for this space? ", just smile and say you can't wait to share them. DSA understands that health insurance is often a concern for independent contractors. The Freelancers Union offers a lot of resources for health insurance and other issues independent contractors face. We suggest that you research all information in this article. DSA does not endorse this company. However, we do think it might be of interest for independent contractors who need insurance. If any of you have other options that you would like to share, please send them to us and we will spread the word. This is not an advertisement. We are merely sharing information that could possibly be useful to our members, and this is possibly a viable resource for those seeking health insurance. Please send us any viable options for independent contractors, whatever the subject. We're all in this together, and we love to share and help! Certification is no substitute for years of hands-on industry experience, but certification can provide valuable professional validation. Find out more about the two different approaches you can take to achieve your residential interior design certification. Home textbook and workbook study program, including submitting projects through email and scheduling phone chats with your professor. Online course through your local college. Local schools in your area. If you're an experienced designer, certification still holds value. Just like attending conferences, tradeshows and seminars, earning certification from a reputable provider demonstrates your commitment to continued education in industry trends, best practices and ongoing professional development. It increases your credentials as well as your commitment to your field. 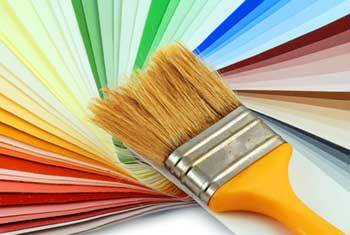 We here at "Go Green World Products" would like to introduce you to our paints, coating, polyurethane and stains. Our bio-clay based paint is truly green and zero-VOC and will not degrade in four to eight years or chip off the sub-straight it was painted on. The color, made of minerals, will not fade. It is highly scrub-able. It is the only interior paint certified to improve air quality by over 50 percent. Our interior/exterior bio-acrylic paint actually prevents mold and mildew growth and acts like a pesticide for up to three years after its initial application. It will not fade. It too will extend the life of the sub-straight. Our paint and coatings are the only ones that exceed the requirements for USDA Bio-Preferred labeling as well as the EPA's zero-VOC standards. It is also the most durable and has the highest sustainable level of any coating manufactured today. Our eco-friendly stain can go on concrete or wood and will last more than twice as long as its competition. Our green polyurethane is the only zero-VOC and (most importantly) zero-isocyanate, longest lasting, and most sustainable poly paint and floor coating ever developed. It's five times harder than any polyurethane in the world, and three times less susceptible to chemical or water intrusion. Custom coloring is also available. It can be used on wood, concrete and many situations from residential to commercial requiring the toughest of surfaces . Go Green World Products was founded on the concept that something needed to be done to stop the contamination and destruction of our resources, environment and health, as well as the need to bring us back in line with a more healthy living environment. We develop and manufacture a range of products while keeping the best interests of our environment, health, family and military in mind. Other manufacturers that we team with have similar goals and values. We are a diversified business in that we are a Service Connected Disabled Veteran Owned Small Business Entity. In working with Go Green World Products, the door to government funding allocated to diversified small businesses via grants is opened wider.